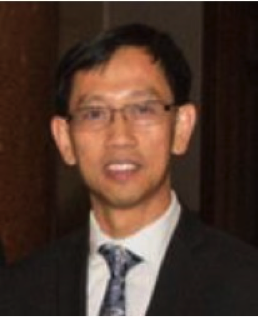 Dr. John Zhong is the Head of Innovative Analytics and Early Development Biostatistics at Biogen. The Innovative Analytics team provides innovative methodological solutions to research and development challenges related to innovative designs, modeling & simulation, missing & truncated data, big data analytics & machine learning, and real world evidence. The Early Development Biostatistics group provides centralized statistical input to the strategy and planning and statistical support for drug development in Phase 0 through Phase 2b stages. It appropriately tailors biometrics approach to the evolving needs of the portfolio at Biogen. John has more than 20 years of experience in the industry and medical research. He has played a critical role in the use of innovative statistical approaches across multiple successful drug development programs in different companies, including the development of clinical endpoints to measure the primary efficacy in pivotal clinical trials and the use of innovative analytics to change potentially failure to success and bring efficacious therapies to patients with unmet needs. In the drug development community, John has actively played an important role in promoting statistical innovation. He was an expert panelist at the FDA Public Meeting on Promoting the Use of Complex Innovative Designs. He is a co-leader of the BIO Innovative Clinical Trials Taskforce and contributed to the development of a series of recommendations for consideration regarding the conduct of the Complex Innovative Design Pilot Program. He is a member of PhRMA Clinical Development Work Group and represented PhRMA as an SME in meetings with the FDA. John received his PhD in Mathematical Statistics from the University of Maryland at College Park. He has coauthored over 50 manuscripts published in peer reviewed medical and statistical journals and more than 100 presentations in medical and statistical conferences.